Insight Law is a dedicated business and tax law firm, handling all matters relating to the IRS, and Washington State and Local taxes. Call today for a free consultation to determine your options early in the process. Don't wait until your wages are being garnished, or your bank accounts are being levied upon. Many procedures exist to assist taxpayers depending on the specific issue. The various legal schemes relating to federal, state, and local taxation can be very complicated, and a taxpayer can miss crucial deadlines to obtain relief. If you have received a notice from the IRS, Washington State, or other taxing authority in Washington, or you are already being levied upon or having your wages garnished, call Insight Law to receive experienced and competent representation from a tax attorney. Many tax relief companies have non-attorneys handling many aspects of your sensitive legal matter, and many of the larger attorney firms will charge a high price for providing thorough representation throughout the entire process. 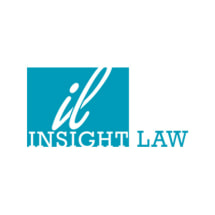 Insight Law provides excellent service from a qualified tax attorney, throughout the entire process, for an excellent overall price compared to the larger firms. Insight Law can handle all matters from audits to collection, or represent you before the United States Tax Court and US District Court of Western Washington. No matter the tax issue, Insight Law finds a step-by-step plan of attack. Unlike many tax relief companies that will get you in the door with a cheap initial price, and then proceed to charge you for unnecessary services, Insight Law believes in planning an efficient process to minimize cost and maximize effect from the beginning. Also, unlike many larger tax law firms that also provide excellent service, Insight Law has no minimum fee that must be collected on any matter. With a great commitment to the interest of the public, Insight Law has a philosophy that all people need help with their tax problem.